A life assurance policy is designed to pay out an amount of money to your dependants if you die while the policy is in force. 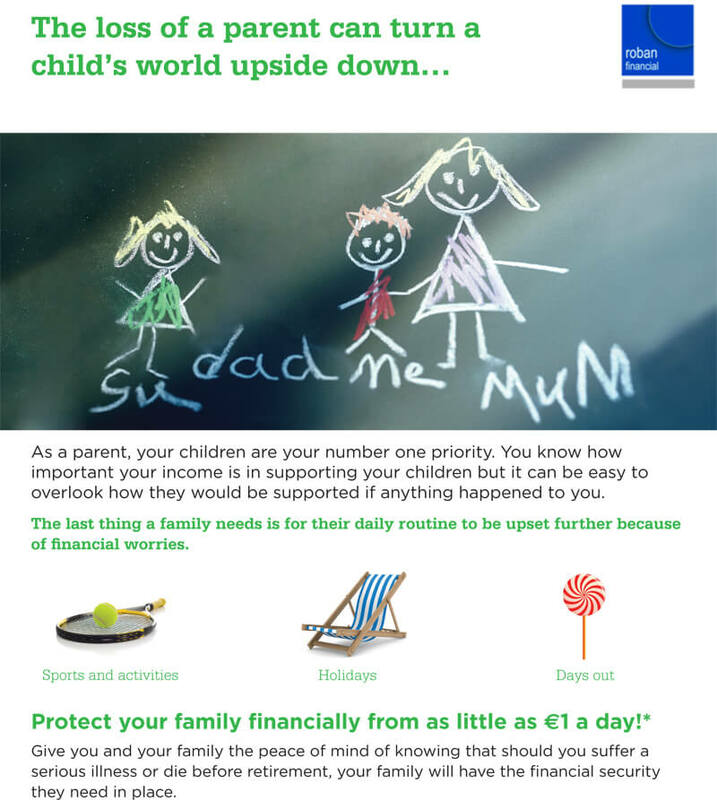 No matter how much you earn, it’s important to make sure your dependants have enough money to live on if you die. A life insurance policy is one of the common ways to do this. It pays out a lump sum on your death. It is difficult to think about the effect your death would have on those you care about, but it is important to plan for their needs and to look at the financial impact your death may have on those closest to you. The personal loss that death brings can never be compensated for, but it is possible to protect against the financial hardship that death may cause. A life insurance policy can offer this protection by paying out a lump sum to your dependants that would help them at a difficult time. If you have a dependent family, a life insurance policy is one of the most common ways to provide money for them if you die. And, if you have any loans or debts – particularly a mortgage on the family home – you should ensure that you have life cover in place to pay them off if you die. you are older and your family is grown up, or if your partner is earning an income – in general the older you are the less life cover you need. How much life cover will I need? This depends on your circumstances. Generally, if you have a young family, you will need to provide a larger lump sum than if your children are older. That is because the benefit has to last longer. cover costs that might arise when your children are older, for example school or college fees. Do I need mortgage protection cover? If you are under 50 years of age when you take out your main home mortgage, your lender must make sure you have a life policy to clear the loan if you die. The main reason for this is to make sure your family home would not have to be sold to pay off the mortgage. You do not need this cover if you are over 50 or if your mortgage is on an investment property, but it can be beneficial. If you are in a permanent relationship and have dependent children, it is important to consider the consequences if either you or your partner died. For example, if one of you is involved in looking after the home and children there could be extra childminding or housekeeping costs if you died. Therefore, you may want to consider a joint or dual policy. This covers two people on the same policy, and could pay out a lump sum benefit if either of you die (joint life cover) or if both of you die (dual life cover) within the term of the policy. Who gets the life policy? If you arrange a policy on your own life, the policy benefit is paid directly into your estate on proof of your death.